Sunwood Faux Wood Blinds are made from top quality PVC. Not only providing the same style as real wood Venetian blinds, but also making it difficult to tell the difference between the two. 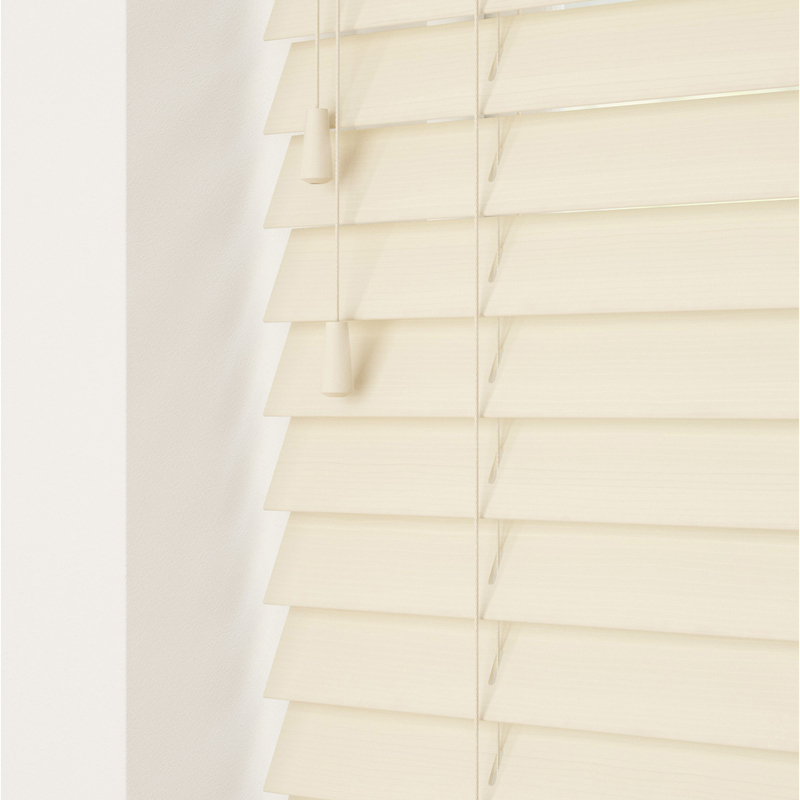 In reality, the faux wood Venetian blinds offers a practical solution as bathroom blinds, wet rooms or kitchen blinds. 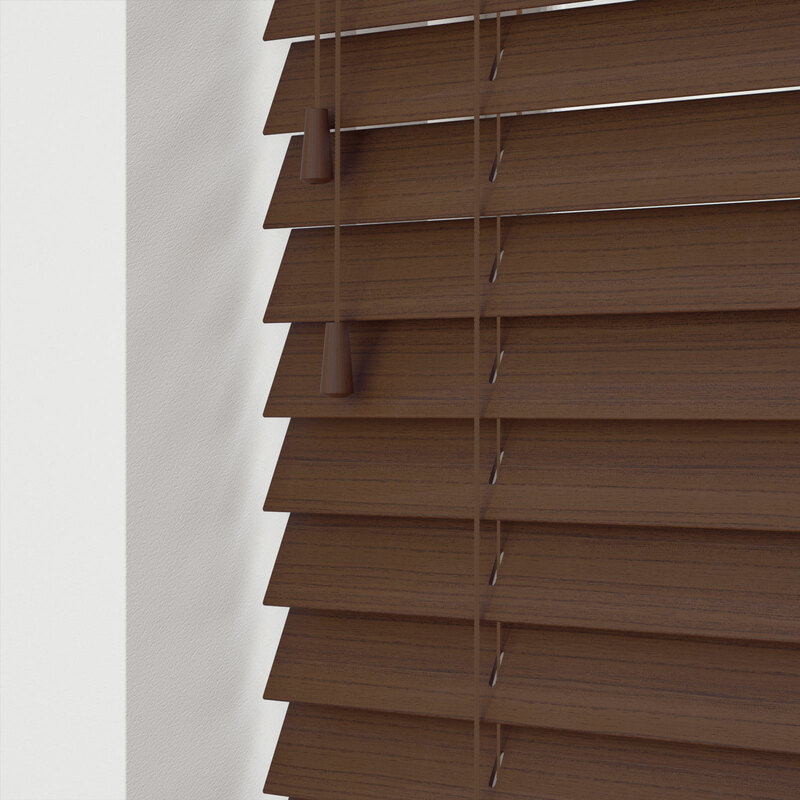 As a result of the PVC construction the blind the slats allows use in as moisture resistant blinds or waterproof blinds. Faux wood boast great value for money and are generally cheaper than Wood Blinds. However, there are a few disadvantages. Over a period of time, the slats may experience shading, dis-colouration or warping from sunlight or in hot rooms such as conservatories. Therefore, these blinds are not suitable for South facing rooms or rooms over 55 degrees Celsius. The choice of faux wood slats has increased recently. This includes a range of colours and textures. Also the slats are either smooth or grained effect. Additionally, slats can vary in colour from pelmets colour or in production batches. This is similar to wall paper. 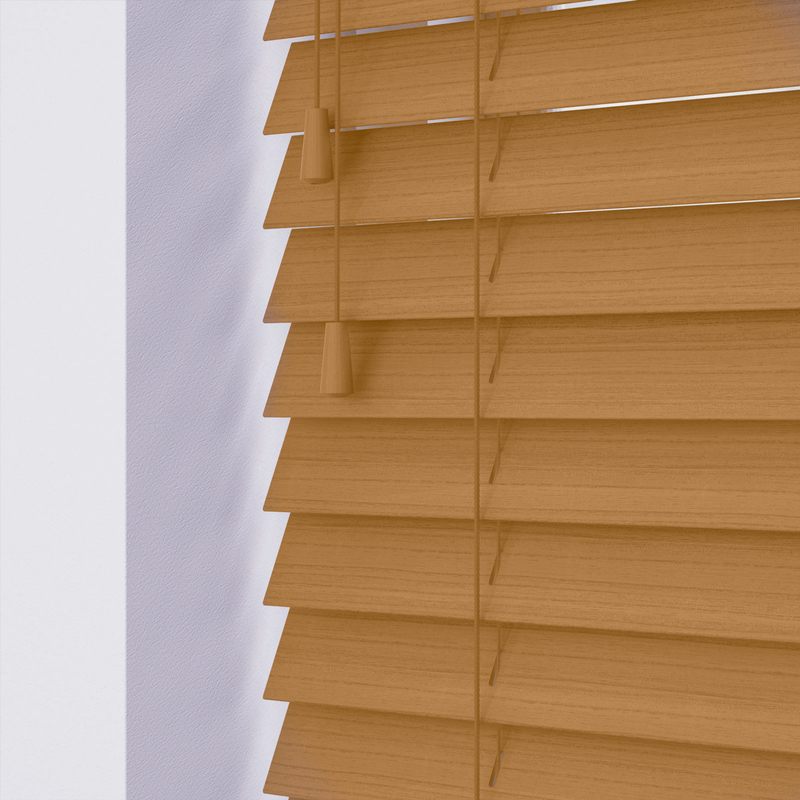 Equally important, the Sunwood faux wood blinds are easy to clean. Not to mention the option to add either Herringbone or Flat weave tapes is available. Additional charges apply. NB The maximum drops may vary depending upon width and weight of the blind. If no price is visible in the circle, the blind cannot be made. Head rail, matches blind, universal box brackets, hold down bracket and fitting instructions. The blinds work in much the same as regular Venetian Blinds or Wooden Blinds. The horizontal slats open and close using the cords on the left hand side of the blind. At the same time the cords allows control of light entering a room by tilting them. Furthermore, the cords allows the faux wood blinds to be partially or fully closed. Additionally, it is possible to pull all the slats up, or lowering the slats in the desired position using the right hand side cord. The cord comes with a break away safety device to meet blinds safety regulations. Sunwood Faux wood Blinds cannot be aligned and matched. Faux wood blinds are NOT suitable for south facing windows or room with extreme heat as the blinds may warp. A Conservatory comes into this category. Of note, a sample swatch may vary slightly different from made up blinds. To ensure that the fabric will suit your needs, please order a sample as the way devices or monitors display our blinds can vary and the blinds are given to illustrate how they may look. In order to order online, complete the relevant options. Living in Milton Keynes? We will bring collection to you.